The Amerock BP19014CSG9 Bar Pulls 12-5/8in(320mm) CTC Pull is finished in Sterling Nickel. Modern functionality meets straightforward styling. Simple. Bold. True. The sleek and sophisticated design of the Bar Pulls Collection makes a statement with clean lines and smooth textures. Sterling Nickel is a cool, smooth and metallic silver-toned finish that is timeless and subtle. From the Liberty Hardware, the Mission Style collection provides beautiful architectural detailing to traditional style cabinetry or furniture. Crafted from steel and zinc for long lasting quality and durability. Hardware is included and multiple finishes are available. 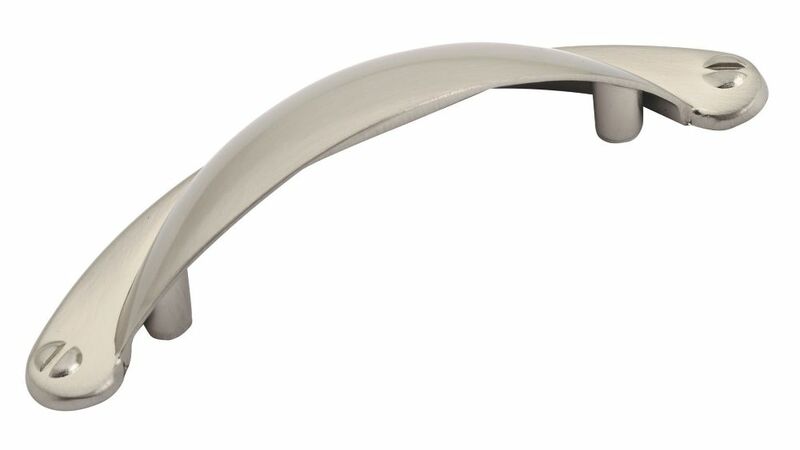 Traditional Metal Pull 2 17/32 in (64 mm) CtoC - Brushed Nickel - Sorbonne Collection With its sleek finish and smooth dome shape, this classic Richelieu cup pull fits flawlessly in any kitchen or bathroom. Traditional Metal Pull 2 17/32 in (64 mm) CtoC - Brushed Nickel - Sorbonne Collection is rated 4.5 out of 5 by 2. Rated 4 out of 5 by MH from SPECS ARE WRONG. Nice looking pull though. I was very excited when I received this in the mail. It's very nice looking and seems well made. However, upon my attempt to mount it, I was disappointed to find that the center to center spec that is listed as "3 inches" is incorrect. It is indeed 64mm which is listed in the name of the item, but i failed to notice this while ordering. I am assuming this is a HD issue which is why I am still giving the item a high rating. Rated 5 out of 5 by Tnpoppy from Very nice drawer pulls. Very nice drawer pulls at a reasonable price. They add a really classy look to our new cabinets.